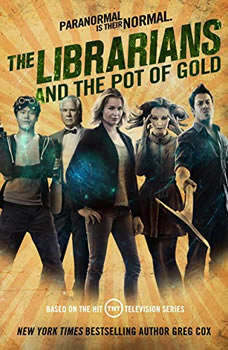 The Librarians and the Pot of Gold is an original audiobook based on the hit TNT television show The Librarians, by New York Times bestselling author Greg Cox. For millennia, the Librarians have secretly protected the world by keeping watch over dangerous magical relics. Cataloging and safeguarding everything from Excalibur to Pandoraa€™s Box, they stand between humanity and those who would use the relics for evil. New York Times bestselling author Ilona Andrews takes listeners back to the strange world between the Broken and the Weird in this sequel to On the Edge. In this gripping series debut from author Kalayna Price, police consultant Alex Craft can communicate with the dead—but in her latest case, someone clearly doesn't want her to know what they have to say.